This page is still under construction. Please check out my collection of videos on this page for now. You can keep this page bookmarked though, as it will be returning. 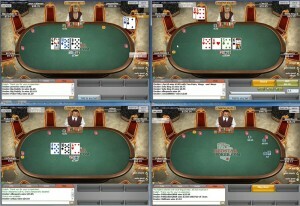 PokerTrikz is well known for the collection of poker videos I have created. Once I finish upload them all, you will be able to watch more than 50 hours of poker lessons and live training sessions. Other poker training sites charge hundreds of dollars for this level of strategy content, but never at PokerTrikz. You will always be able to stream or download the training videos free of charge. If you want to make sure you stay current with our newest releases, you can sign up for our newsletter. 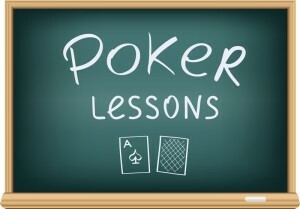 Poker Lessons are scripted videos that cover a single new theory or poker strategy. Beginners can watch my most basic lessons to get their poker knowledge built up before moving on to more advanced lessons. Training Sessions are live sessions that I recorded while playing online. I review my thought processes while playing and talk about new techniques and strategies that I am developing to improve my play.